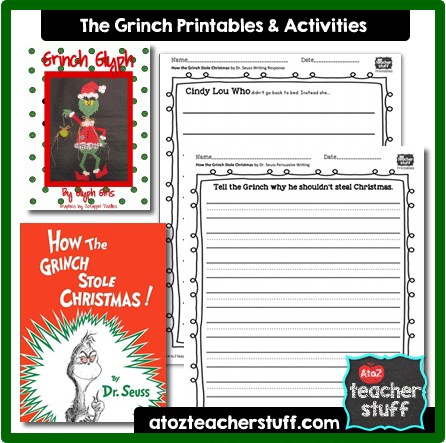 This is a collection of book activities for How the Grinch Stole Christmas featuring lessons and printables for math, writing and reading, as well as fun crafts, recipes, and word puzzles. Students will give their opinions on a survey after reading The Grinch Who Stole Christmas by Dr. Seuss. They will use their data to determine the details of their very own Grinch. This is a Color by Number & Writing Activity Booklet using some of the very words the Grinch used in his ever so famous “The Grinch that Stole Christmas,” book! 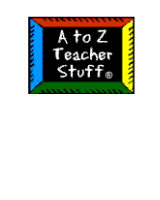 It is a wonderful way to use as a supplement with the book! 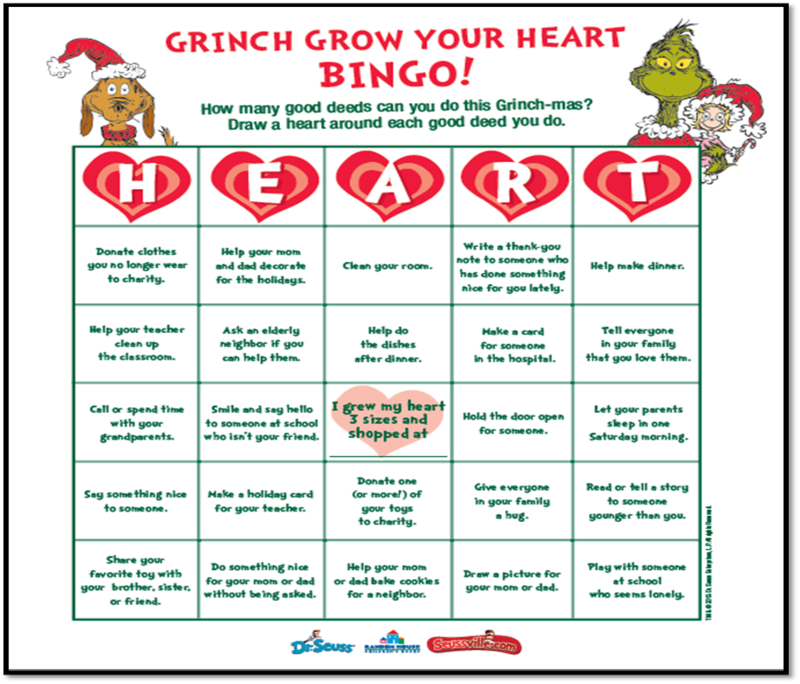 Six Grinch Printables: Grinch Mask, Grinch Ornaments, Dot-to-Dot, 2 Grinch Word Searches and a Maze. Everyone knows How the Grinch stole Christmas, but no one seems to know why the Grinch stole Christmas. This lesson is a look at what might have given the Grinch the feelings that he had to steal Christmas from Who-ville. Create a kid’s comic strip based on The Grinch Who Stole Christmas.